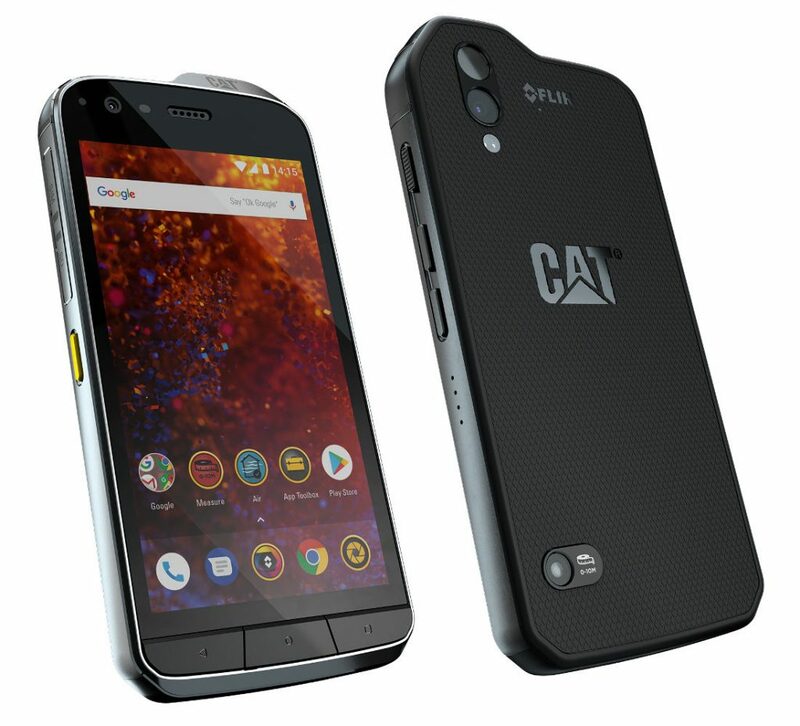 Cat phones has introduced Cat S61 ahead of MWC 2018. It has an enhanced FLIR thermal imaging capability with enhanced software for greater image contrast, expanded temperature range to 400 degrees Celsius, and an upgrade from VGA to High-Definition detail from the visible camera providing unmatched image optimization using FLIR’s MSX technology. It also has a laser assisted distance measurement which can measure point-to-point distances up to 10m, then calculate area, and switch between Metric and Imperial measurement. The indoor air quality sensor from Sensirion can alert users to high levels of indoor air pollutants (Volatile Organic Compounds or VOCs), allowing them to make timely decisions such as opening a window to improve ventilation or taking a break. It can also provide humidity and current temperature readings. It is IP68 dustproof and waterproof up to 3m for 1 hour and is certified with MIL Spec 810G and has been passed to survive repeated drop-tests onto concrete from 1.8m. CAT S61 will cost MSRP of €899 / £799 when it goes on sale in Q2 2018. It will be showcased at the MWC 2018 next week.